The finding by a team of researchers at Vienna University of Technology and Princeton University, could lead to new ways to manipulate the interaction of electronics and light, an important tool in modern communications networks and high-speed information processing. The researchers published their results June 13 in the journal Nature Communications. Their system involves two tiny lasers, each one-tenth of a millimeter in diameter, or about the width of a human hair. The two are nearly touching, separated by a distance 50 times smaller than the lasers themselves. One is pumped with electric current until it starts to emit light, as is normal for lasers. Power is then added slowly to the other, but instead of it also turning on and emitting even more light, the whole system shuts off. “This is not the normal interference that we know,” said Hakan Türeci, assistant professor of electrical engineering at Princeton, referring to the common phenomenon of light waves or sound waves from two sources cancelling each other. Instead, he said, the cancellation arises from the careful distribution of energy loss within an overall system that is being amplified. The research grows out of Türeci’s longstanding work on mathematical models that describe the behavior of lasers. 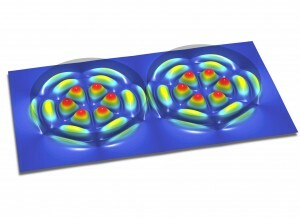 In 2008, he established a mathematical framework for understanding the unique properties and complex interactions that are possible in extremely small lasers – devices with features measured in micrometers or nanometers. Different from conventional desk-top lasers, these devices fit on a computer chip. That work opened the door to manipulating gain or loss (the amplification or loss of an energy input) within a laser system. In particular, it allowed researchers to judiciously control the spatial distribution of gain and loss within a single system, with one tiny sub-area amplifying light and an immediately adjacent area absorbing the generated light. Türeci and his collaborators are now using similar ideas to pursue counterintuitive ideas for using distribution of gain and loss to make micro-lasers more efficient. The researchers’ ideas for taking advantage of loss derive from their study of mathematical constructs called “non-Hermitian” matrices in which a normally symmetric table of values becomes asymmetric. Türeci said the work is related to certain ideas of quantum physics in which the fundamental symmetries of time and space in nature can break down even though the equations used to describe the system continue to maintain perfect symmetry. Over the past several years, Türeci and his collaborators at Vienna worked to show how the mathematical anomalies at the heart of this work, called “exceptional points,” could be manifested in an actual system. In 2012 (Ref. 3), the team published a paper in the journal Physical Review Letters demonstrating computer simulations of a laser system that shuts off as energy is being added. In the current Nature Communications paper, the researchers created an experimental realization of their theory using a light source known as a quantum cascade laser. 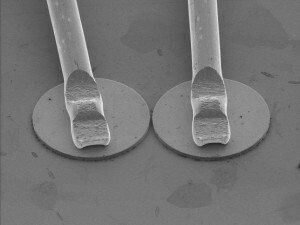 The researchers report in the article that results could be of particular value in creating “lab-on-a-chip” devices – instruments that pack tiny optical devices onto a single computer chip. 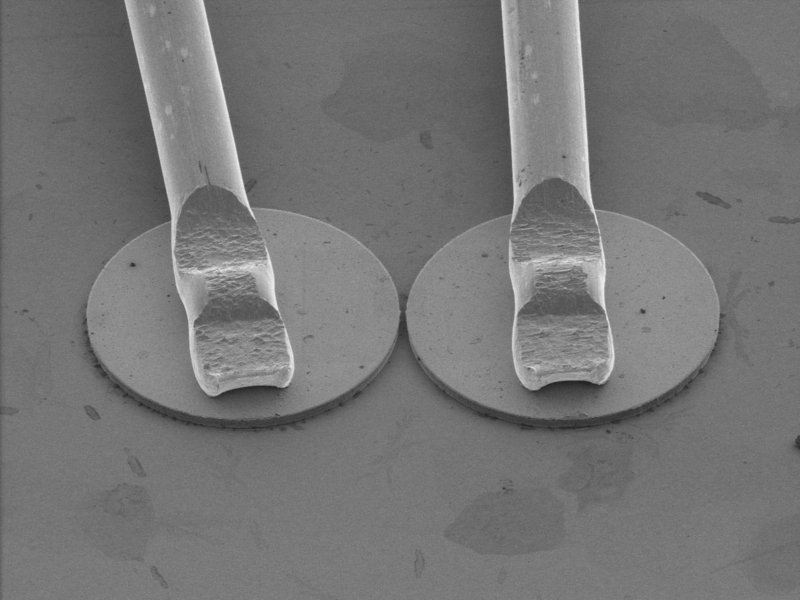 Understanding how multiple optical devices interact could provide ways to manipulate their performance electronically in previously unforeseen ways. 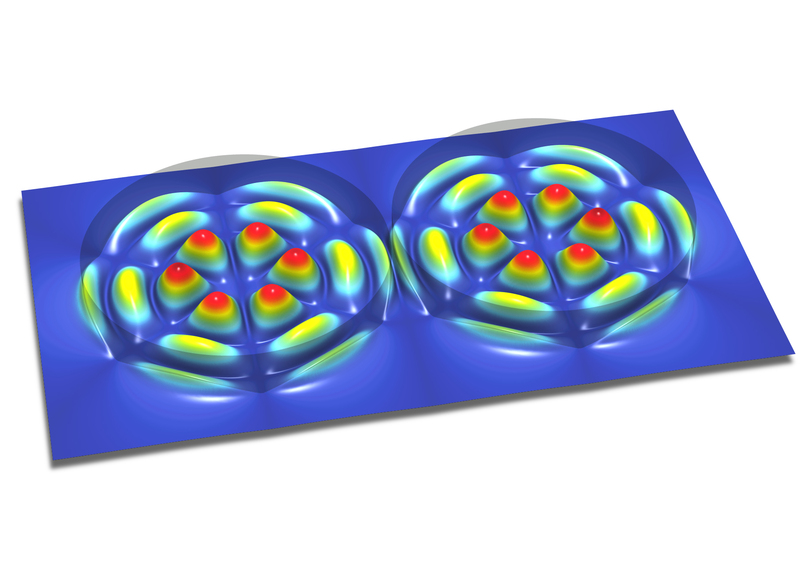 Taking advantage of the way loss and gain are distributed within tightly coupled laser systems could lead to new types of highly accurate sensors, the researchers said. “Our approach provides a whole new set of levers to create unforeseen and useful behaviors,” Türeci said. The work at Vienna, including creation and demonstration of the actual device, was led by Stefan Rotter at Vienna along with Martin Brandstetter, Matthias Liertzer, C. Deutsch, P. Klang, J. Schöberl, G. Strasser and K. Unterrainer. Türeci participated in the development of the mathematical models underlying the phenomena. The work on the 2012 computer simulation of the system also included Li Ge, who was a post-doctoral researcher at Princeton at the time and is now an assistant professor at City University of New York. The work was funded by the Vienna Science and Technology Fund and the Austrian Science Fund, as well as by the National Science Foundation through a major grant for the Mid-Infrared Technologies for Health and the Environment Center based at Princeton and by the Defense Advanced Research Projects Agency.